For many companies and their marketers, having a presence in targeted trade show exhibit halls is a critical component of their marketing plan. This is particularly true for business-to-business marketers where conferences and live events allow for face-to-face relationship building. Here are the three original ideas for effective premium and related exhibit hall engagement from the recent DMA 2010 Annual. From a marketing perspective, they provide insights into how to you make the most of premiums as a means to engage attendees and build your brand. Green-friendly. 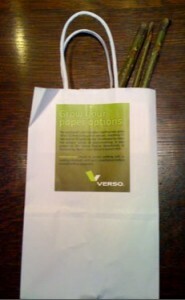 A family-owned paper supplier gave twig like sticks that can be planted and will grow into trees. They were the best give-away because they tied the company to green goals while getting prospects engaged in conversation. While direct marketers are known for using lots of paper, here was a company that wanted to help the environment. Talk about replacing what you use! Charity tie-in. 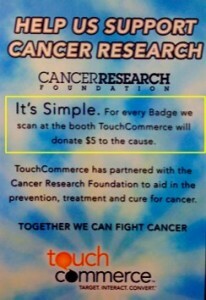 To get attendees to have their badges scanned, exhibit hall nirvana, one firm promised to make a donation to a specific charity for each badge scanned and promoted the charity. This was a win for everyone involved. It generates buzz for the exhibitor and it’s hard to turn down supporting a good cause. From the company’s perspective, they’re doing good, getting a tax deduction and have something besides their product about which to talk. As an attendee, I was willing to trade my contact information for the donation. It sure beats premiums that no one wants! Vegas-style fun. A German sweepstakes insurer lured passers-by with game style engagement that got people to stop and play. 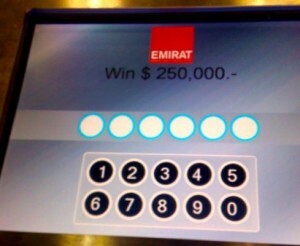 They had a Lucite box filled with $250,000 in play money that was a showstopper by itself. People wondered whether the money was real. Then they could try to break the code and get the money as a prize. There was always a line of people waiting to try their luck! When planning premiums and related trade show engagement, here are five factors to enhance the effectiveness of your firm’s presence. Creates ties that bind. Ensure that the products you’re offering have a connection to your firm. Think beyond color and logo. What will connect this give-away with your product? I have a red mug with white lettering for Economist.com that is special because it says “Made in England” on the bottom. Attracts attention. In an exhibit hall, booths are placed right next to each other. Will your premiums and engagement devices make attendees willing to line up? Even better, will it generate conversation? 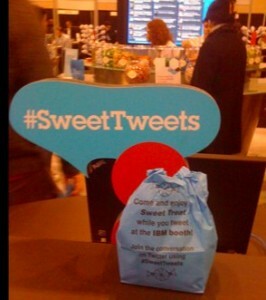 IBM’s Sweet Tweets at the OReilly’s Web 2.0 show in New York was a stand out example of this. 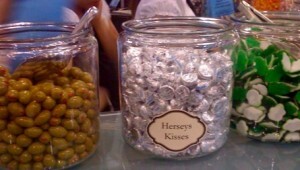 They had a candy bar where attendees could choose two types of candy that were placed in a blue IBM bag. 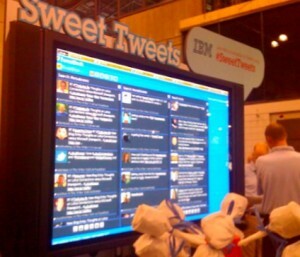 In return, IBM asked attendees to tweet about their experience and had a screen showing the “Sweet Tweets” in real time. They received earned media through their twitter presence and had a never-ending line for candy. Has staying power. Will recipients keep your premium? For many this means schlepping it home in a small suitcase. Bear in mind that size and value count. This is why many vendors use toys so attendees can bring something home for their children. It’s even better when the premium is something they will use themselves over an extended period such as thumb drives, Post-it notes and pens. Starts a conversation. Make it easy the folks manning your booth by providing them with “ice-breaking” stuff that give them a reason to talk to attendees about something other than your firm. Lines waiting to play your game or get a refreshing beverage, particularly of the alcoholic nature, provide natural discussion starters. 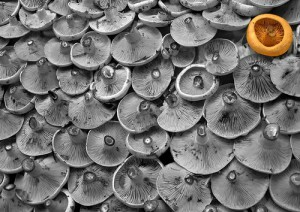 One of my favorites is photography related give-aways. In past years, one of the list brokers had a professional photographer take people’s images. These photographs were printed onto a related background and put into a frame with the broker’s contact information. While I waited for the photographs, one of the sales staff talked to me about their product. Make it worth my time. As a tradeshow regular, I find that I’m willing to talk to many different companies about their products, but I’m reticent to let them scan my badge. The reason is that I don’t want to get inundated with email and postal mail. Give me a valid reason for sharing my contact information. This can be the charity tie-in described above or it can be a trial use. Remember attendees are thinking what’s in it for me! When planning for your company’s next tradeshow, consider these five points to increase your marketing premium’s effectiveness. Tradeshows are a great opportunity to meet prospects face-to-face. to the right premium can help build upon the initial engagement to create a long-term relationships. Tags Conference, DMA 2010, Emirat, give-away, IBM, premiums, Tchotchke, trade show, Verso. Bookmark the permalink.